Training 365 are delighted to present our first 100% pass certificate to Jake Duthie from Pipeline Induction Heat following an 18th Edition Wiring Regulations course delivered recently on site in Burnley. 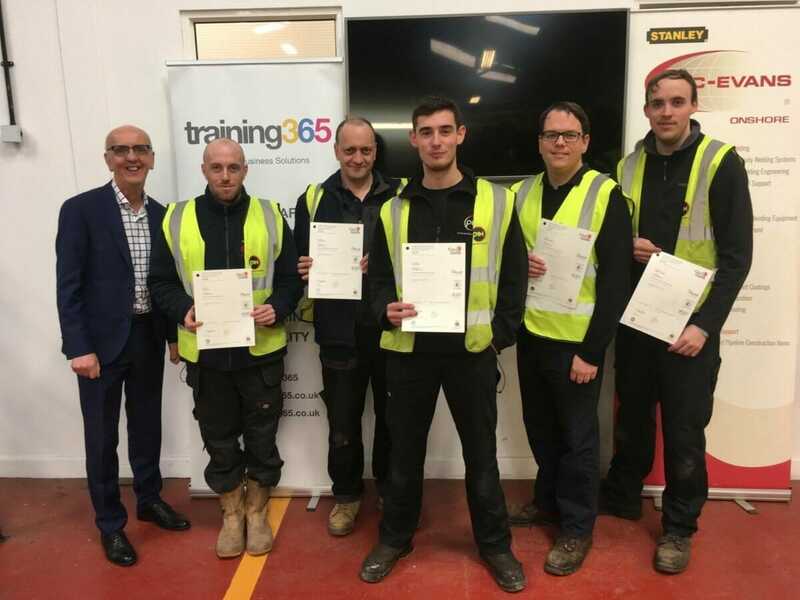 Not only did Jake excel, becoming part of an elite group of electricians across the UK who have achieved full marks in the City & Guilds BS7671: 18th Edition qualification, but as a group everyone achieved results significantly above the national average making the whole course a huge success, congratulations to everyone involved. Concerning the 18th Edition Wiring Regulations it was recently announced by the Electrotechnical Certification Scheme (ECS) that any electrician who holds a current ECS card needs to be aware that to maintain their registered electrician status they must upgrade to the BS7671:2018 18th edition wiring regulations before 1st July 2019. Training 365 offers both the Full and Update courses delivered both on site at our dedicated training centre in Burnley or on site if preferred.